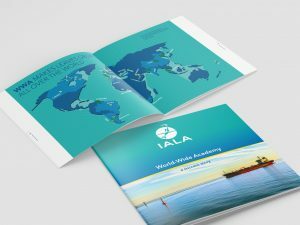 The IALA World Wide Academy (WWA) is an integral, but independently funded part of the International Association of Marine Aids to Navigation and Lighthouse Authorities. It commenced operations in January 2012. The IALA World-Wide Academy is the vehicle by which IALA delivers education, training and capacity building. It is there to promote the work of the IALA Committees. The Academy is dedicated to assist National Authorities in sustainable development and improvement in the provision of Marine Aids to Navigation, including VTS. In June 2012, The Academy was presented at IMO’s Technical Cooperation Committee. In response, IMO commended IALA on the establishment of the IALA World-Wide Academy, and requested that it be kept updated on the work carried out jointly between the International Hydrographic Organization, IALA and IMO in the area of capacity-building under the United Nations “Delivering as One” initiative. The Academy has implemented a Quality and Training Management System to support its mission and aims which is subject to periodic internal and external audit.